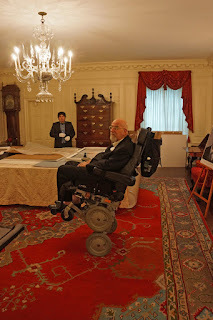 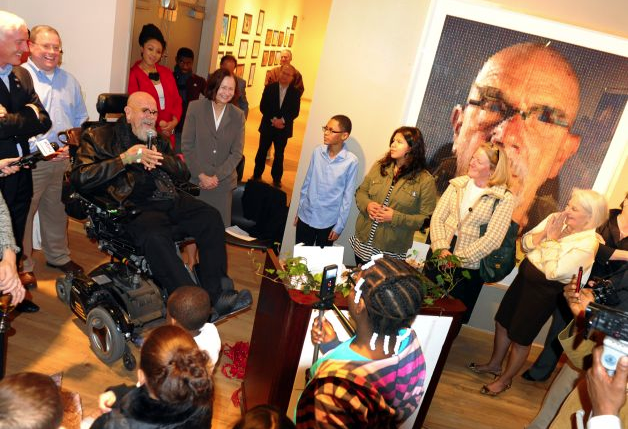 Chuck Close with students and faculty from Roosevelt School participating in the President's Turnaround Arts Initiative at Housatonic Community College in Bridgeport, CT; photo by Christian Abraham. 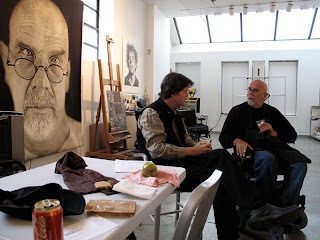 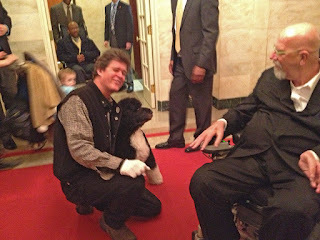 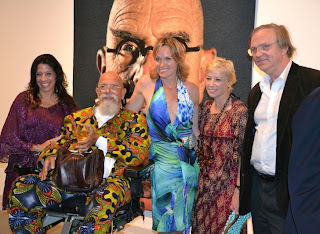 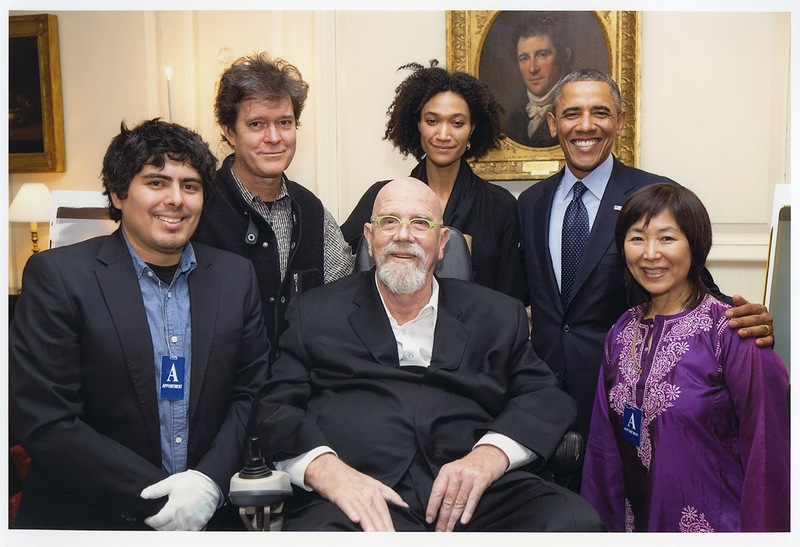 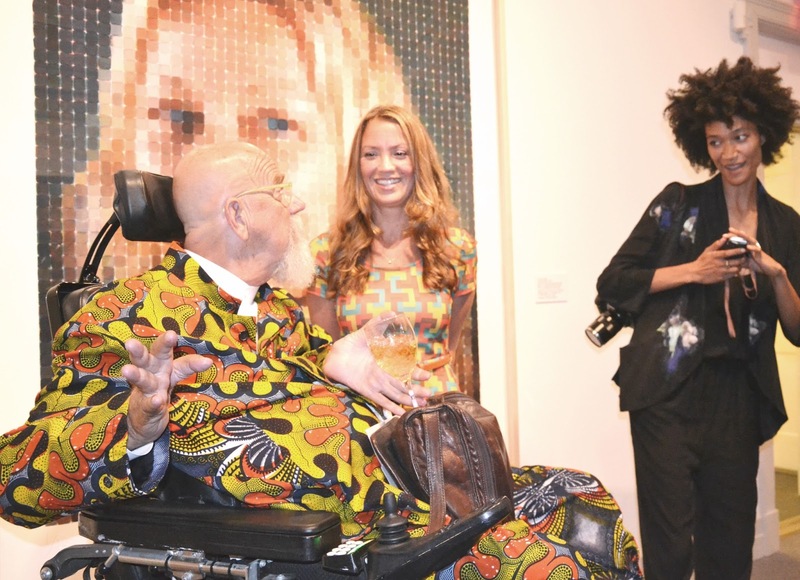 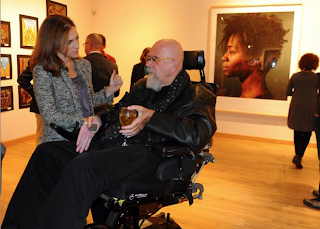 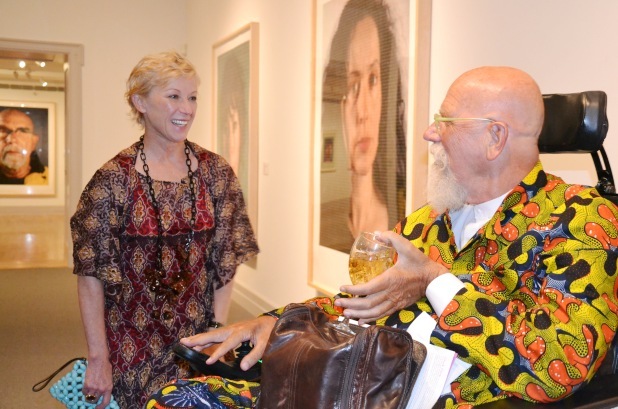 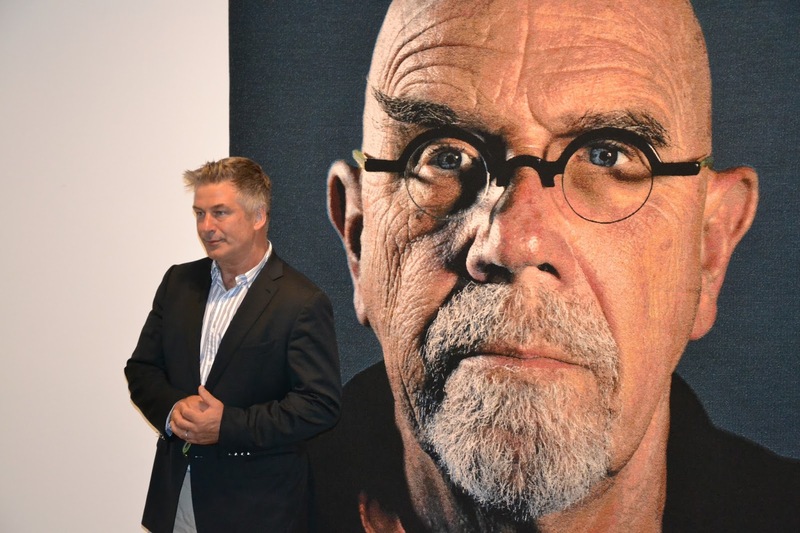 Besides having been hand-picked to serve on President Barack Obama's Committee on the Arts and Humanities and in addition to his extensive fundraising and charity work, Chuck Close is also a force to be reckoned with in the field of arts education. 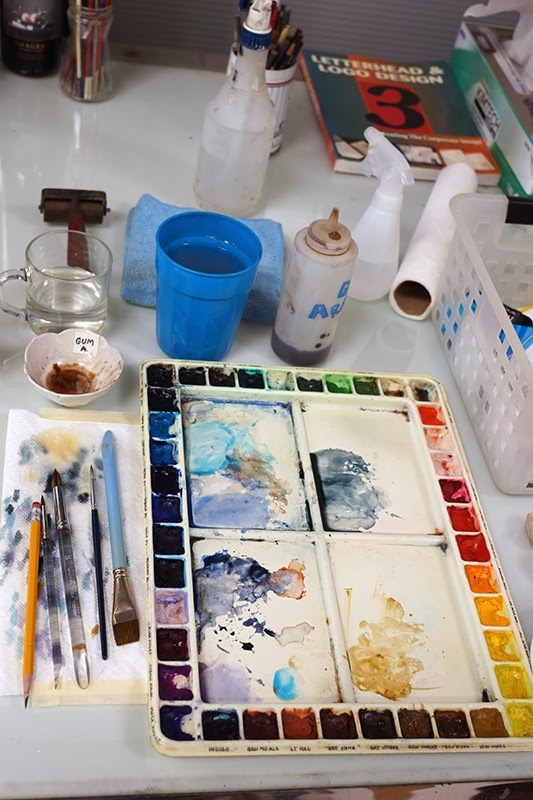 After volunteering to participate in the President's Turnaround Arts Initiative, which helps provide students in struggling schools with much-needed arts education and exposure, Close was asked to spend the past year mentoring students at the Roosevelt School in Bridgeport, Connecticut. 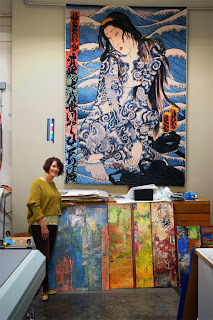 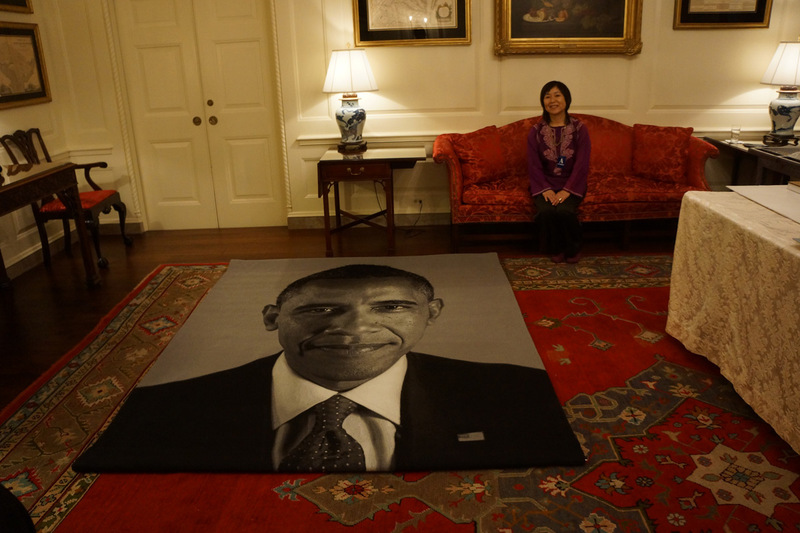 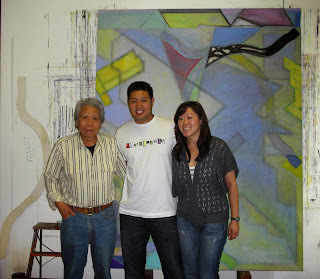 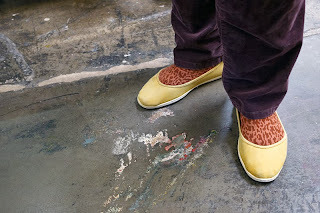 As one of eight high-profile creative talents who volunteered for the program, developed in cooperation with the U.S. Department of Education and the White House Domestic Policy Council, the artist worked closely with Roosevelt students, faculty and surrounding communities. 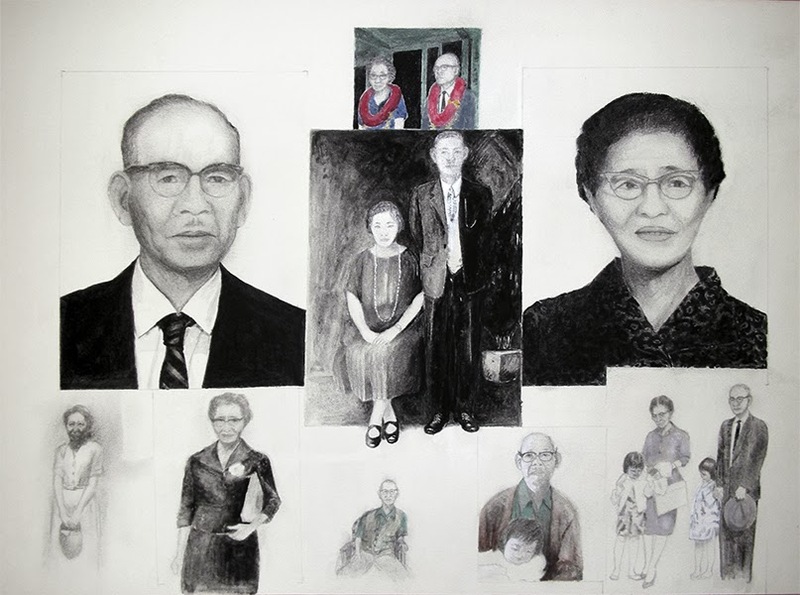 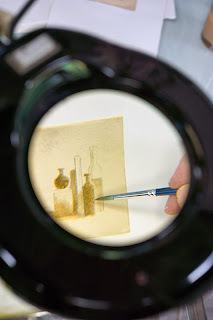 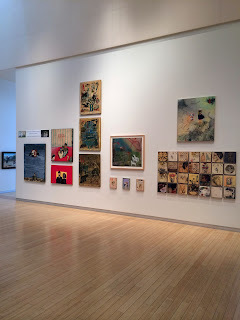 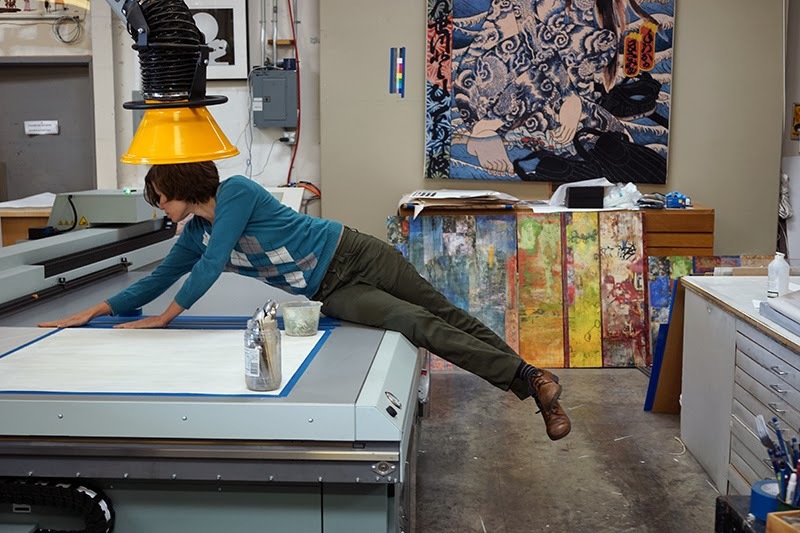 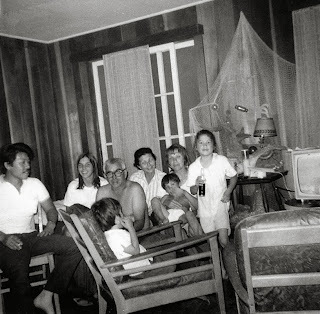 In early November an exhibition opened in the Burt Chernow Galleries at Bridgeport's Housatonic Community College, showcasing work by the students mentored by Close alongside five of Close's large-scale watercolor prints published by Magnolia Editions over the last two years. 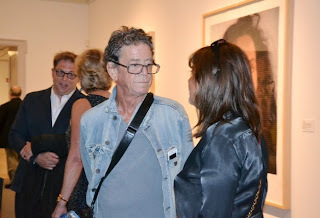 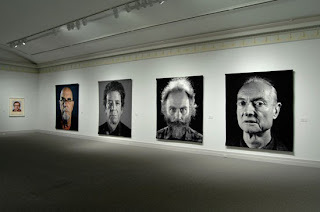 Chuck Close at the Burt Chernow Galleries at Housatonic Community College in Bridgeport, CT; photo by Christian Abraham. 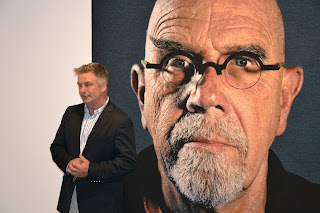 Chuck Close addresses students and faculty in the Burt Chernow Galleries at Housatonic Community College in Bridgeport, CT; photo by Christian Abraham. 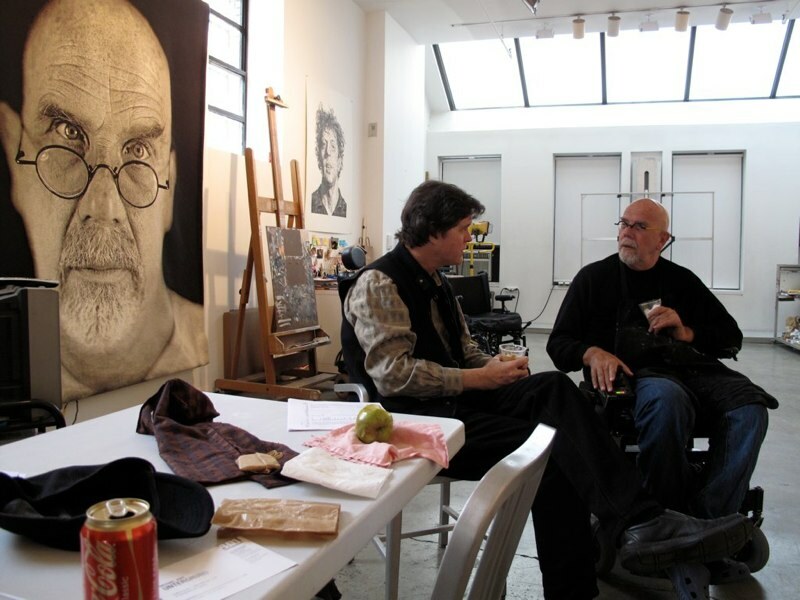 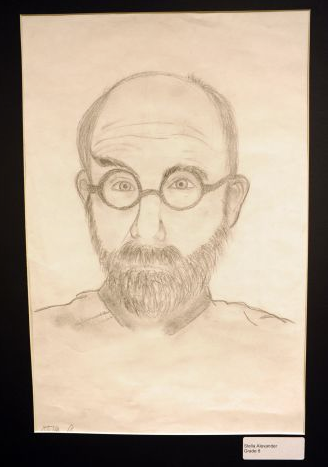 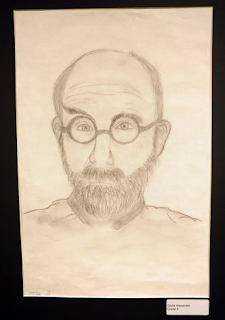 Portrait of Chuck Close by a Roosevelt student at the Burt Chernow Galleries at Housatonic Community College in Bridgeport, CT; photo by Christian Abraham. 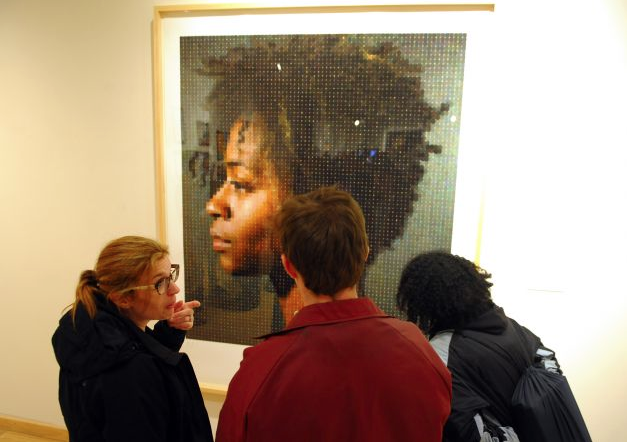 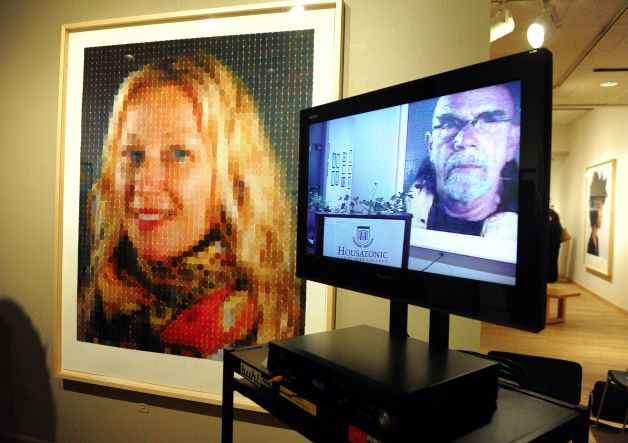 Chuck Close's print Kara I (2012) at the Burt Chernow Galleries at Housatonic Community College in Bridgeport, CT; photo by Christian Abraham. 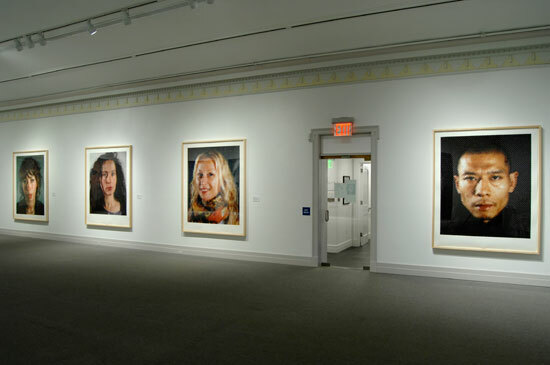 Chuck Close's 2013 print Cindy (Smile) at the Burt Chernow Galleries at Housatonic Community College in Bridgeport, CT; photo by Christian Abraham. 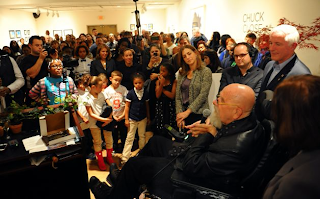 For more great photos by Christian Abraham from this event, please see this article at the Connecticut Post. 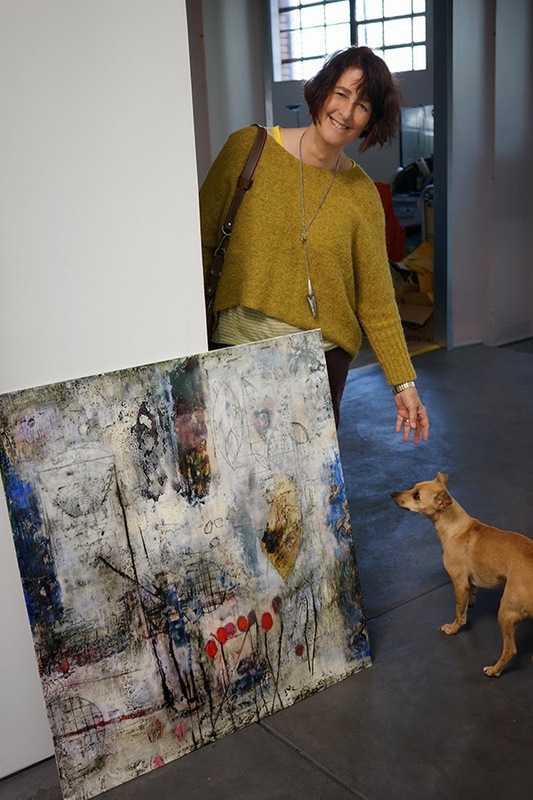 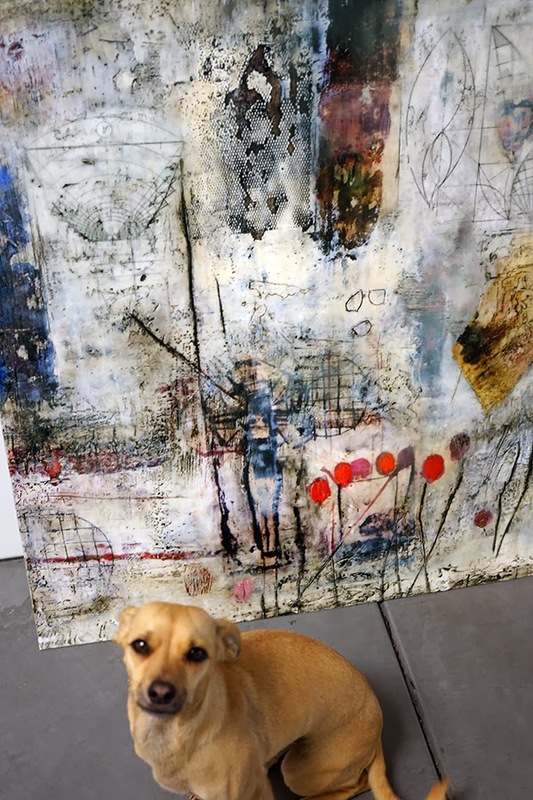 Meanwhile, "Grand Narratives," Donald and Era Farnsworth's collaborative exhibition with Inez Storer and Andrew Romanoff at the Yuma Fine Arts Association, enjoyed a successful opening this month. 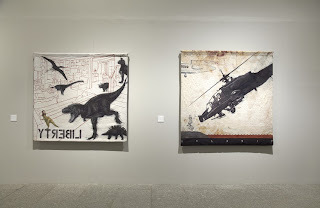 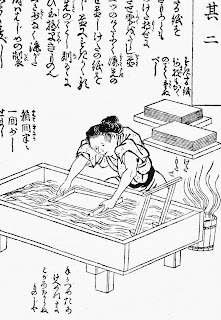 Before the opening: tapestries by Donald & Era Farnsworth, prints by the Farnsworths, Storer, & Romanoff, and mixed-media works by Storer & Romanoff at the Yuma Art Center. 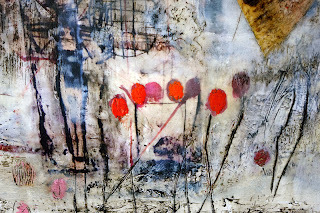 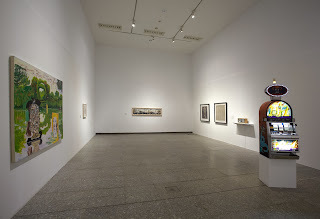 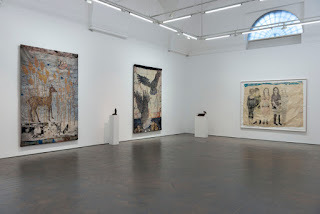 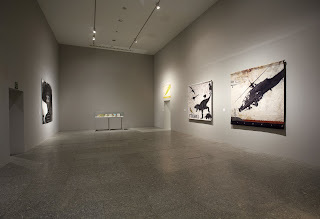 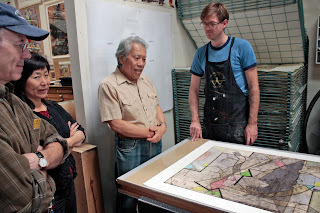 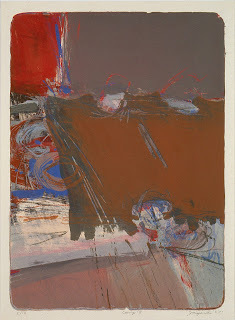 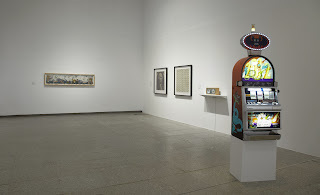 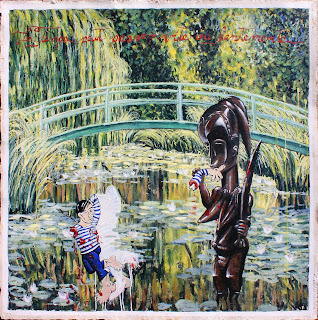 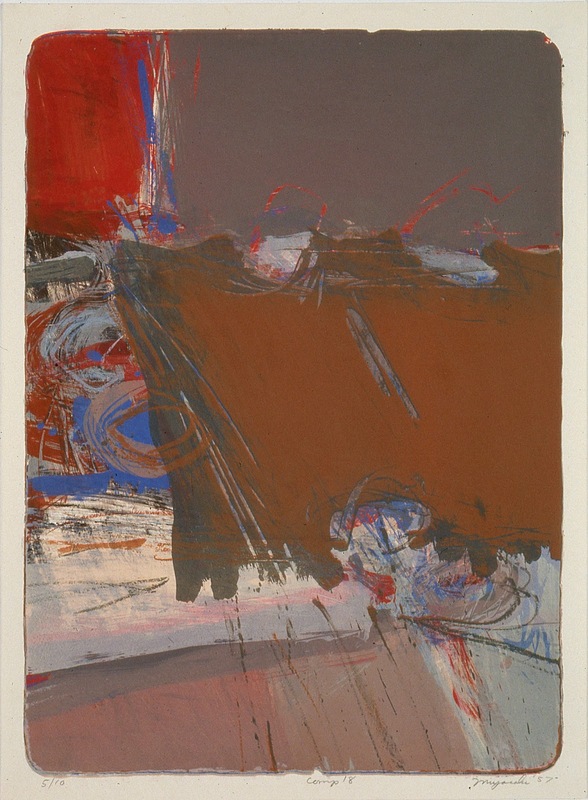 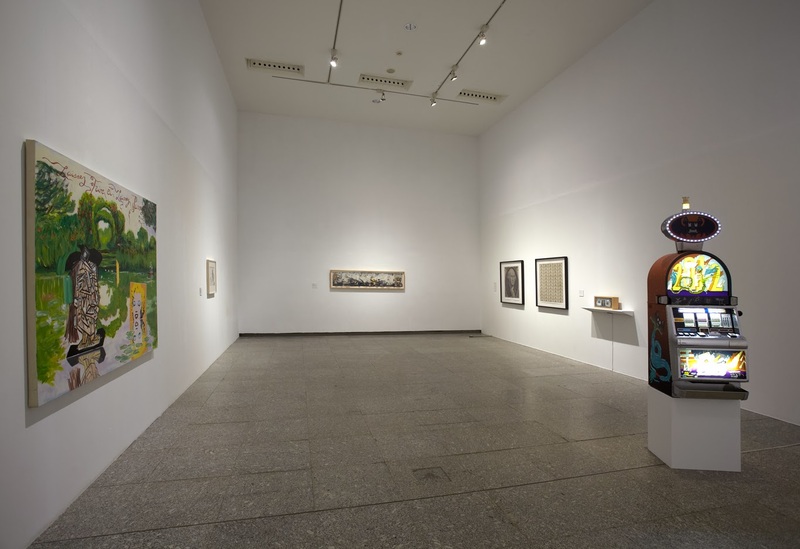 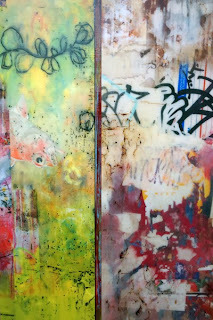 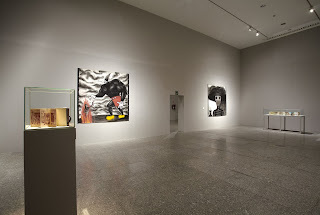 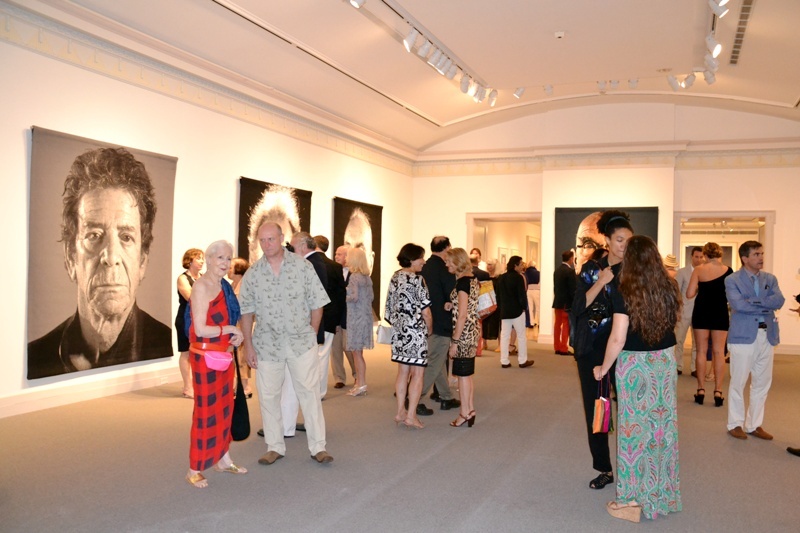 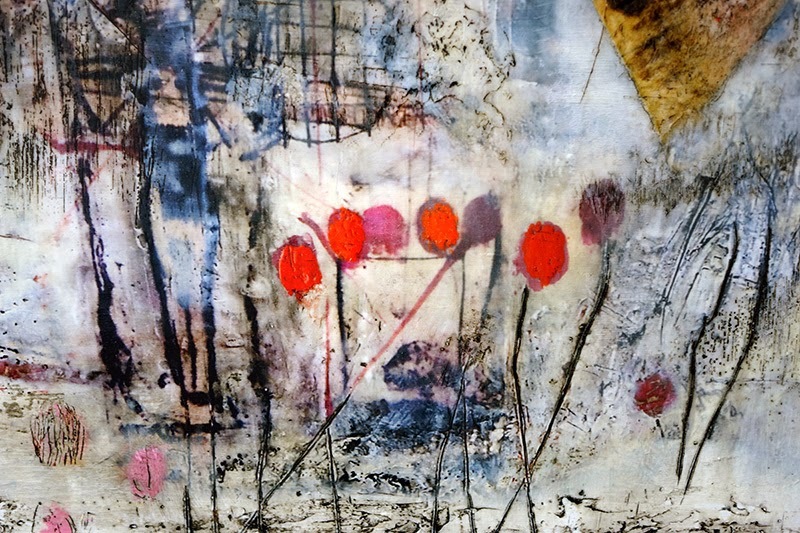 The show features artwork inspired by the quartet's recent trip to St. Petersburg, Russia; visitors are encouraged to learn more at the Yuma Art Center website. 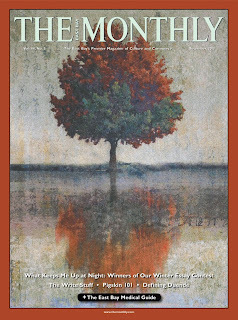 Finally, East Bay residents might notice a familiar, colorful tree appearing in newspaper kiosks around town -- Donald and Era Farnsworth's collaborative tapestry Reflection III (2004) graces the cover of the Monthly, "the East Bay's premier magazine of culture and commerce," this December. 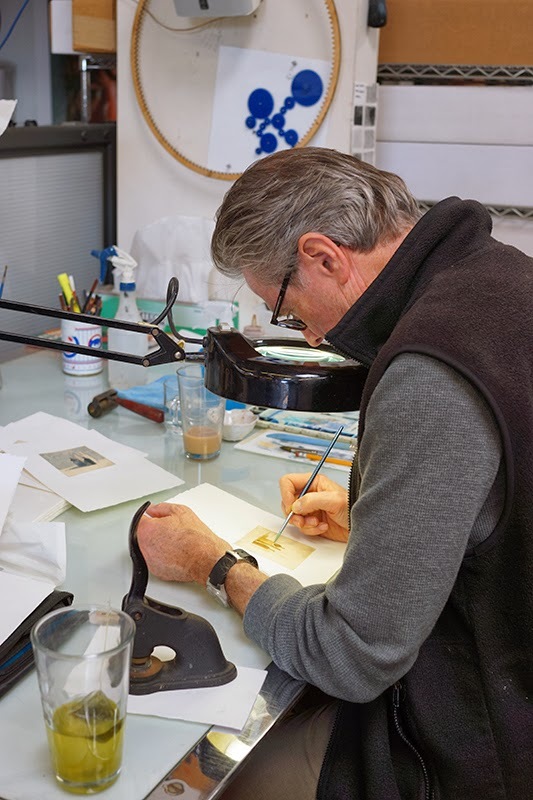 Congratulations, Farnsworths!